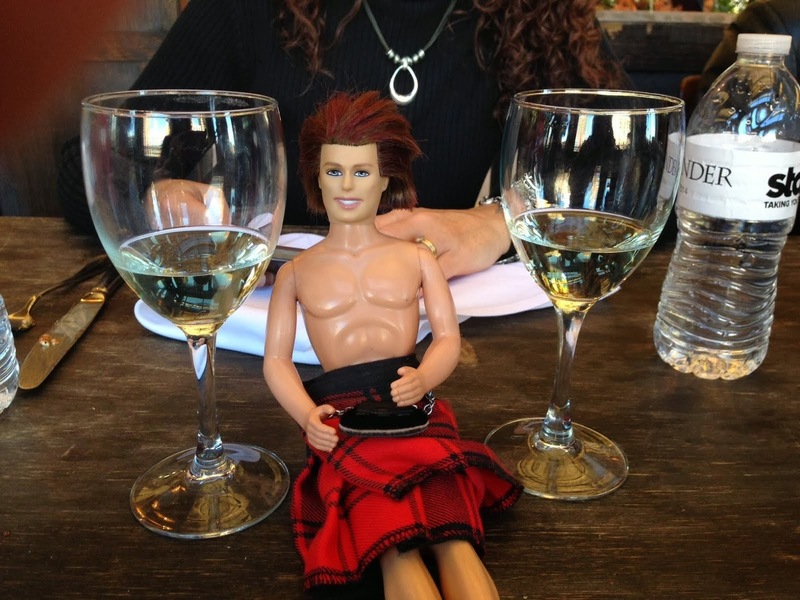 My OUTLANDER Purgatory: The Outlander Series Key Chain! 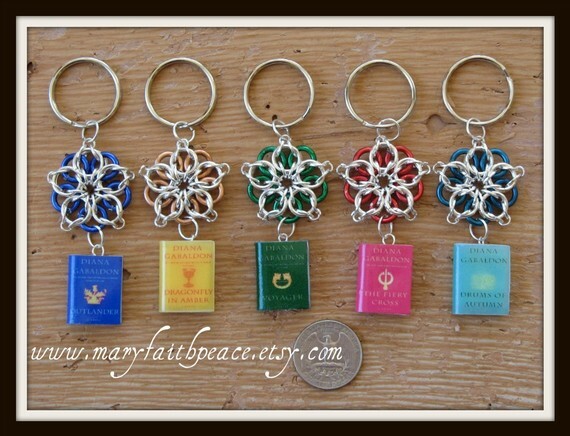 I want to send a big, fat THANK YOU out to Mary Faith Peace from Etsy - of "The Outlander Charm Bracelet" fame - for sending Tracey and I each a GORGEOUS Drums of Autumn Keychain!! Beyond awesome! Thanks for the link! I saw these on her site. I love the shepards crook bookmarks. I have to have one for each of the books! I will have to go back to work just to pay for my outlander obsession!! Just received my Outlander and Dragonfly in Amber book charms. LOVE LOVE LOVE them. Once again, MaryFaithPeace has out done herself. I have proudly put my Outlander charm on my car key chain. The DIA book is a gift for my sister for Christmas but I am sure she will love it. Transations was easy and efficient. There is nothing better than knowing one's creations find a home with an appreciative audience. 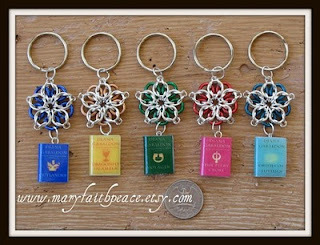 Many thanks to *all* who have given the NEW Outlander Mini book pendant collection a loving home. As I write this, mine are adorning our tree. It does double duty as an ornament and an ice breaker, for I have convinced several friends to start reading the series! Anything to "further the cause" right? You have truly shared a useful and intriguing blog entry with individuals.. Welcome to locksmith administrations". On the off chance that the one you have called is reluctant to give you a legitimate business name, you have to discover another locksmith. if any, in their place, while the locksmith shifts the other pins are the inner cylinder is then turned by the tension wrench and the lock is opened.